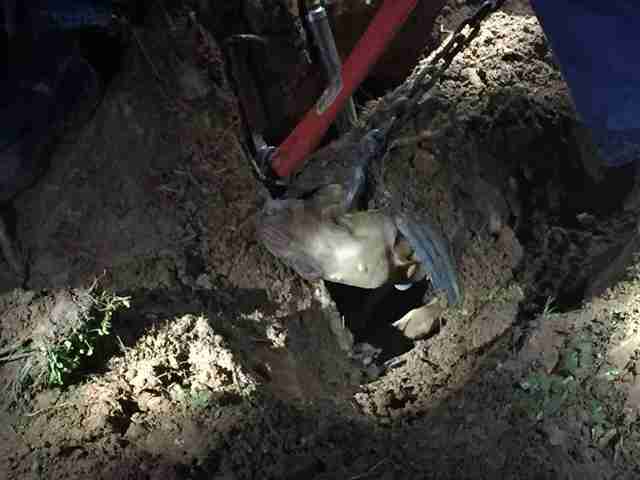 He saw a possum — and tried to follow him underground. Rocky the pit bull was running around outside his North Carolina home one night when he spotted a possum, and suddenly had the overwhelming urge to chase the furry intruder. He chased and chased until the possum finally ran into a pipe. Rocky followed — but was unable to chase the possum back out the other side. 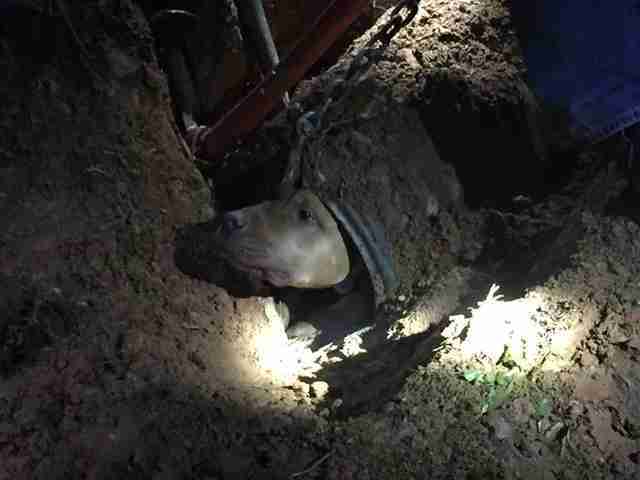 Deep underground in the middle of a long pipe, Rocky was very, very stuck. Rocky’s owner quickly realized what had happened and contacted Catawba County Animal Control to see if they could help. 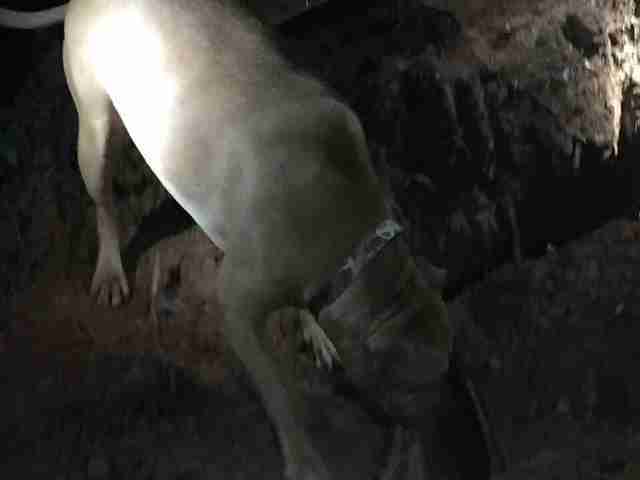 The animal control officers came out and assessed the situation, and quickly determined that they were going to need additional help, so they called in Claremont Rescue. 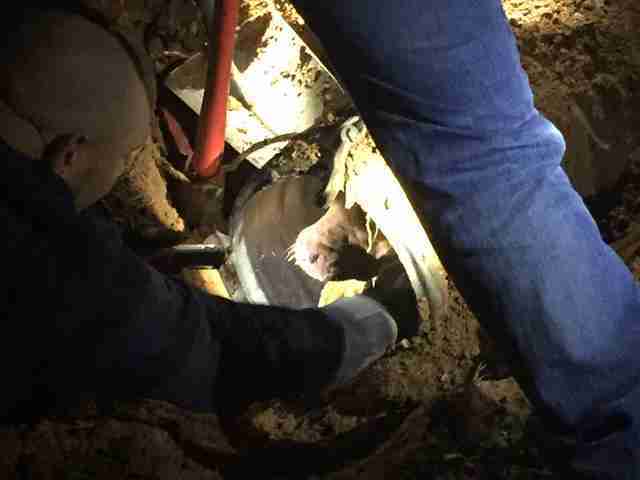 Once the whole rescue team was assembled, they talked to the owner and then worked together to try and figure out exactly where in the pipe Rocky was stuck. 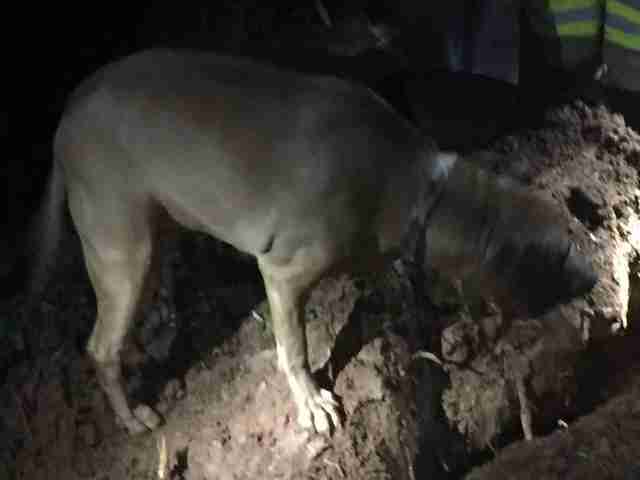 They dug holes in different spots trying to find him, and finally were able to pin down exactly where he was. 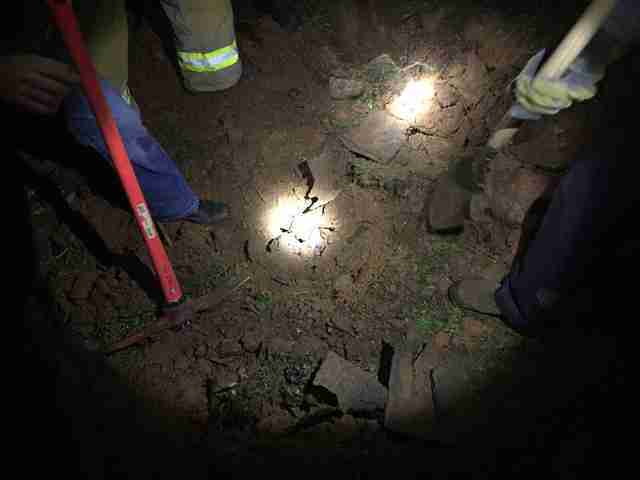 “It was about 100 feet long, we found him about 50 feet in,” Chief Eric Jones, of Claremont Rescue, told The Dodo. … until finally, around two and a half hours later, Rocky was free again. Rocky was insanely excited to finally be out of the pipe, and made sure that all of his new friends knew exactly how grateful he was. Rocky’s owner was very, very happy to have him back safe and sound, and hopefully after all of this, Rocky will think twice before running off to chase a possum again.